Trotskyist? As if Operation Gladio wasn't a thing. Really? He certainly came from the Socialist party, and under his leadership La République En Marche (the political party Marcon is claiming) members can keep their Socialist party affiliations and join up. So yes, what kind of Socialist is he? Given his time in office and the turmoil that has occurred under his watch, he sounds like a Trotskyist, or is it all just happen stance that it worked out that way? Props to the firefighters for their hard work.. Honestly for as big as the fire was I thought it would be a "Surround And Drown" then the Salvage and Overhaul. Or as we say.. "Making Madness Out Of Chaos"
Let's see what investigators say. Mr. Heitz said most people had been evacuated before the fire was found because a Mass had started in the cathedral. 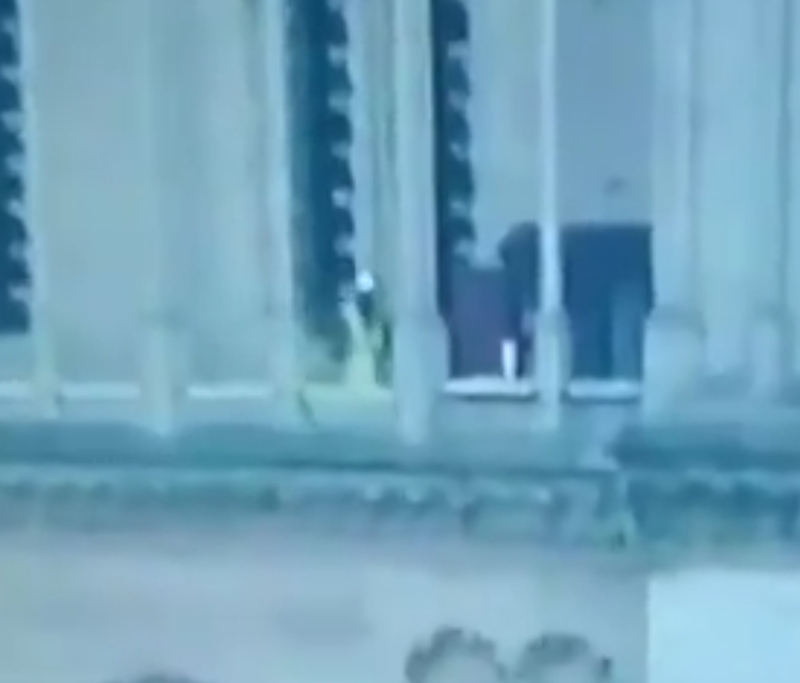 Not long after the doors were shut, witnesses said, smoke could be seen rising from the spire. Video showed that scaffolding around the base of the spire, part of extensive renovations that were underway, was one of the first places to visibly catch fire. they may rebuild it but it will never be the same building . Almost on par with the library of Alexandria . I do not really see this as a chaos producing event though do you? Not from a physical stand point, but the emotional toll that can be had is unknown at this time. It would like the Statue of Liberty was destroyed by something. After all it's only a structure, but the meaning behind it means something to the people of this country (even if some don't want to admit it). The removal of that symbol affects people in ways that are quite and personal, but it leaves the individual venerable to being used much easier than if the icon was still standing. 9/11 is a great example of this. The removal of the World Trade Centers changed the iconic New York skyline, and in effect caused many Americans to group together for emotional support. People took advantage of that and started to manipulate society in negative ways. This event is along the same lines, but only worse due to the historic nature of the building that has been damaged. We don't have anything in this country that has been so iconic to the people here for that long, so the affects on the French people is hard to gauge.